"Ever since alt-country tended to be one of the best kinds of country, this sort of music has provided a good, cozy corner in which to sort through the mess of being human. There’s something about the woolen, mid-heavy bend of a lap steel, perhaps. The record never overdoes the sound either. Phil Madeira’s judicious blend of guitars and accordion, with a little old tube organ thrown in for good measure, creates the perfect backdrop for the acoustic tone. The great comfort of these songs is that, in the midst of overdramatic times, they revel in the beauty of the ordinary. All the little difficulties and glories of normal life are there, painted with the light touch of vignette." 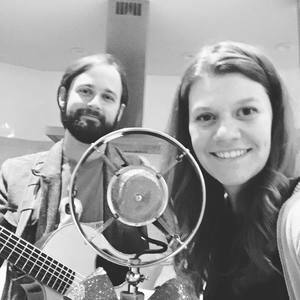 Married songwriting duo Rachel and Stephen Mosley stumbled onto the scene after winning an open mic competition at Zac Brown's Southern Grounds in Senoia, Georgia. The prize was studio time, and The Mosleys recorded their first EP at Zac Brown's Crow's Nest Studio in Atlanta. Since the release of Beneath the Trees and Stars in 2015, they have been busy playing festivals and stages, from the 30A Singer Songwriter Festival to the Chastain Amphitheater. The Mosleys have quickly earned opportunities to share the stage with such talent as Leigh Nash, Liz Longley, Harpeth Rising, Air Supply, and many others. 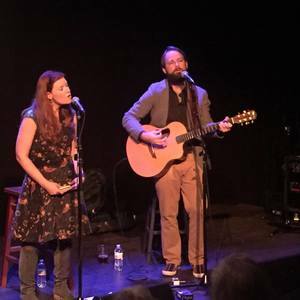 The Mosleys were recently featured artists on NPR's Folk Alley and finalists at Eddie's Attic Open Mic competition. Their new album Ordinary Time was released in late June 2017 and produced by Phil Madeira (Emmylou Harris, The Civil Wars, LeeAnn Womack), with the help of Jimmy Abegg. Married for 16 years, Rachel & Stephen have five young children and lots of great stories. "it’s songs like “Thicker Than Water” that pack an emotional wallop with only acoustic guitar and voice in place. Ordinary Time is full of soulful folk goodness and far from ordinary." "Ordinary Time was born in an Airstream trailer, rocketing somewhere through the American West like a satellite still longing for the home ground of the South. " "The album’s lyrics tread unflinchingly over difficulties and thorny patches of regret that ring familiar." "Their first full length album titled “Ordinary Time” was released in June 2017 following a successful PledgeMusic campaign. Produced by Phil Madeira and Jimmy Abegg (one of Rich Mullins’ ragamuffins by the way), the album is a slice of Americana folk that fans of the genre will enjoy right away."